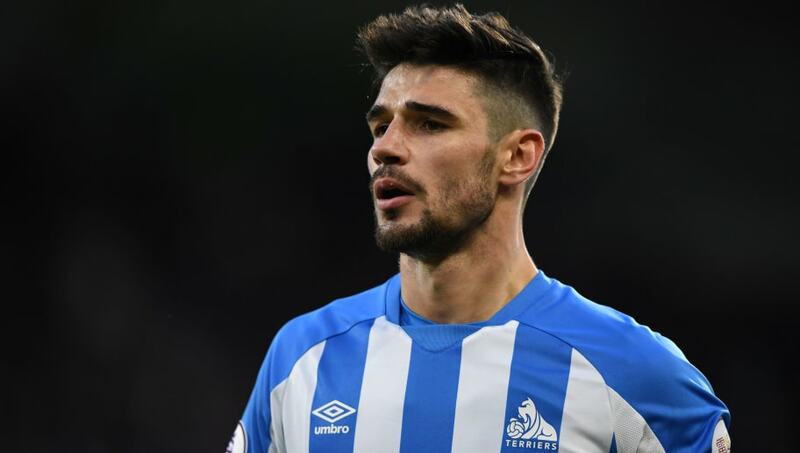 Huddersfield Town club captain Christopher Schindler has told ​fans he expects to remain at the club next season, as things currently stand. The German centre back has been an integral part of the club's success since he arrived in 2016 from 1860 Munich, making 117 appearances. In a press conference held at the Terriers' training ground before their clash with Leicester on Saturday, Schindler faced questions about his future and the club's relegation from the Premier League with six games remaining. "I play and try to perform as if I am staying next season because, as it stands now, I am staying next season," he told the media, via ​Examiner Live. He added that he would look to consult his family before making any decisions and explained that things can change quickly in a fast moving sport like football. He said: "For me I am not interested too much in making rumours or something else because this will come soon enough - for all the other players as well, or most of them, or just a few, I don't know. Christopher Schindler: “It’s been a very difficult week. “You don’t want to have this as a player. There’s real frustration, for me. “We still invested everything, but we never collected the points we needed. "But I think there is no point now forcing anything or spreading some rumours because I am kind of straight forward. I know where I'm coming from and I'm not relaxed but I'm quite clear on this topic." ​Huddersfield boss Jan Siewert has also had his own future called into question after he managed just one win and eight defeats in his first nine games in charge. With their relegation now confirmed, Siewert will have to show the board that he is the right man to lead them into a new season in the ​Championship.